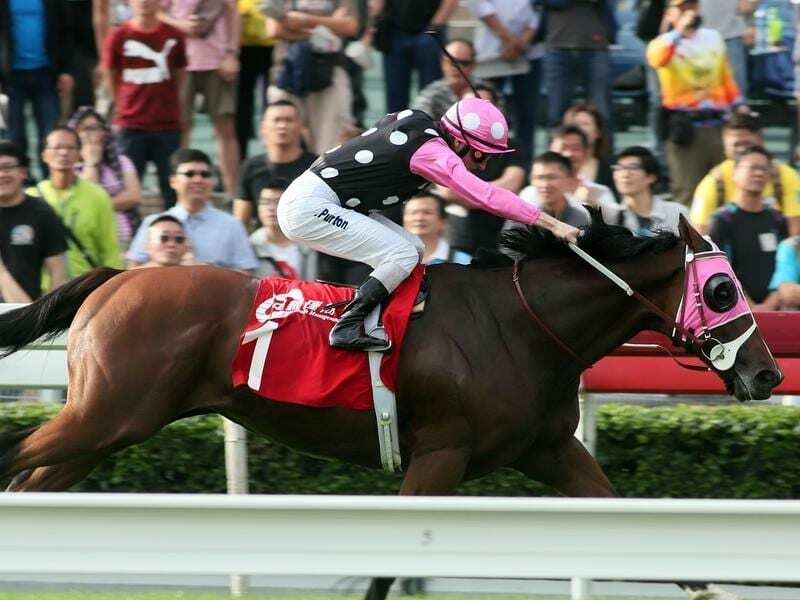 Beauty Generation has set a 1600m-record to win the Jockey Club Mile at Sha Tin. Hong Kong’ reigning Horse of the year, Beauty Generation, has set a 1600m-track record at Sha Tin in his lead-up to the International meeting. Known as Montaigne when trained in Sydney by Anthony Cummings, Beauty Generation won Sunday’s Jockey Club Mile in 1m32.64s, bettering the time set by Good Ba Ba 10 years ago. Trainer John Moore said Beauty Generation reminded him of the stable’s former champion Able Friend the way he rounded up the field. “He was like Able Friend. He reminded me of Able Friend, making the big run and scooting clear from the turn,” Moore said. The trainer said Beauty Generation had had a few shoeing issues leading into the race but he expected them to be sorted before next month’s Group One International Mile. Moore sent out another former Australian, 2016 Queensland Derby winner Eagle Way, to win the Jockey Club Cup (2000m), also in record time, and pose a question as to which race he runs in on International day. “We haven’t decided whether we run in the Vase over 2400 (metres) or the Cup over 2000,” Moore said.